Jan. 25, 2012, 3:02 p.m. Successful engagement by journalists on the social network looks a lot like successful engagement in the real world. By Justin Ellis @JustinNXT Jan. 25, 2012, 3:02 p.m.
Write about current affairs. Add in a little commentary (or a question). And, for the love of all that is holy, include a link. About a quarter of posts by journalists pose a question to readers, a tactic earlier Facebook research substantially increased engagement. Posts that include both links and a little commentary or analysis generated about 20 percent more clicks. Ask for it: Language like “read my story” or “check out my interview” bumps up engagement (clicks, likes, etc.) 37 percent. What else works? Being funny: “Humor in posts or a humorous picture can yield a 1.5x increase in likes and almost 5x increase in shares. Humor often shows the lighter and more personal side of the journalist, which is likely why it results in higher engagement.” Go check out Facebook’s post for more details and data. POSTED Jan. 25, 2012, 3:02 p.m.
Ellis, Justin. "New Facebook data: Be topical, ask questions, and tell jokes to win audience." Nieman Journalism Lab. Nieman Foundation for Journalism at Harvard, 25 Jan. 2012. Web. 19 Apr. 2019. Ellis, Justin. "New Facebook data: Be topical, ask questions, and tell jokes to win audience." Nieman Journalism Lab. Last modified January 25, 2012. 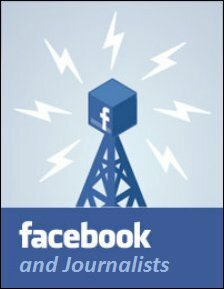 Accessed April 19, 2019. https://www.niemanlab.org/2012/01/new-facebook-data-be-topical-ask-questions-and-tell-jokes-to-win-audience/.